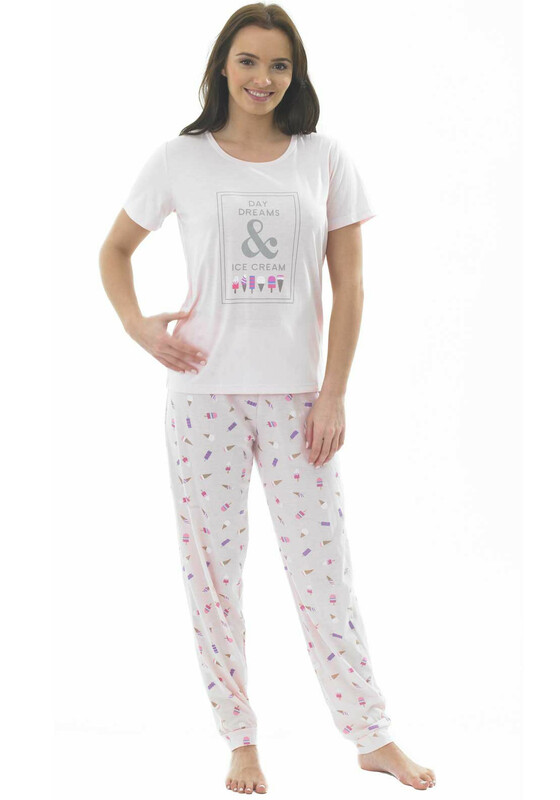 Get ready for warm summer nights with this cute pyjama set from Indigo Sky. Add the matching dressing gown on chilly mornings or evenings. The short sleeve pyjama top is made from soft cotton blend fabric and features a large ‘Day Dreams & Ice Cream’ print on the front. The matching pyjama bottoms have ice-cream graphics throughout.